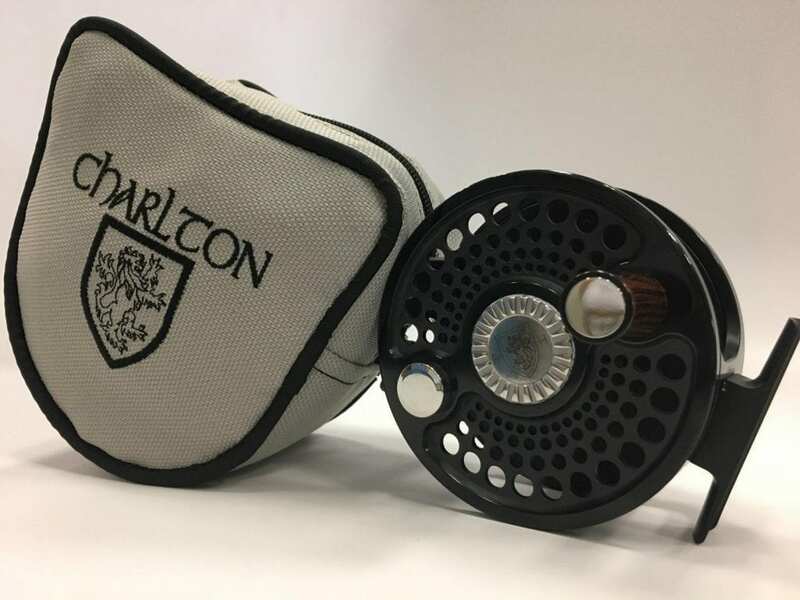 Description: This reel was one of the earliest Signature Series produced, and is engraved with Jack Charlton’s signature. It is an example of the early runs of these reels, and features the cork drag and ¼” drive that typifies these pre-carbon models. As such, it is not convertible—while the later Signature Series can be converted, Jack may have been the only person that knew how to convert these early cork reels. The reel has its own original Charlton case. 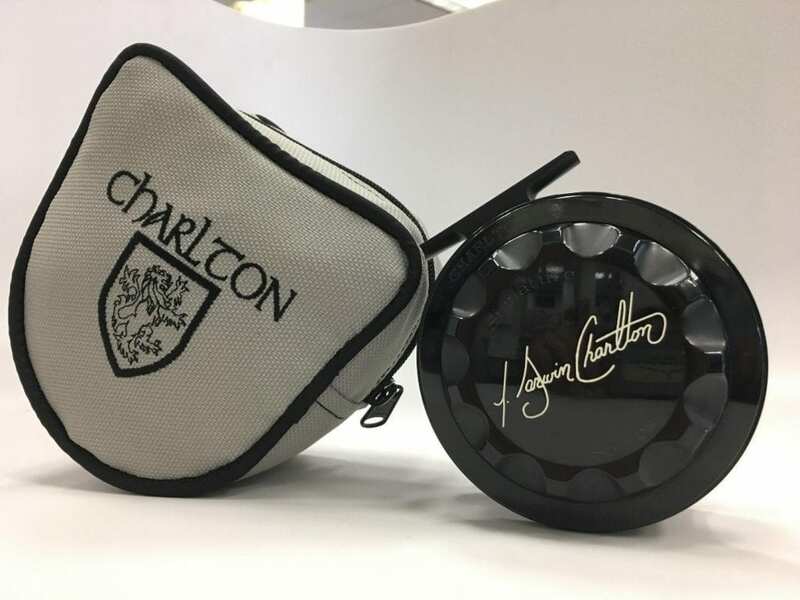 The bag for the reel is an original soft zipper case with the Charlton crest embroidered on, which was used for reels with signatures (and the titanium models) only. There is no warranty paperwork associated with this reel as it was part of Jack’s personal collection. Also included is a Charlton Reels pin, and a copy of the original Charlton catalogue from 1994—the year this reel was produced. 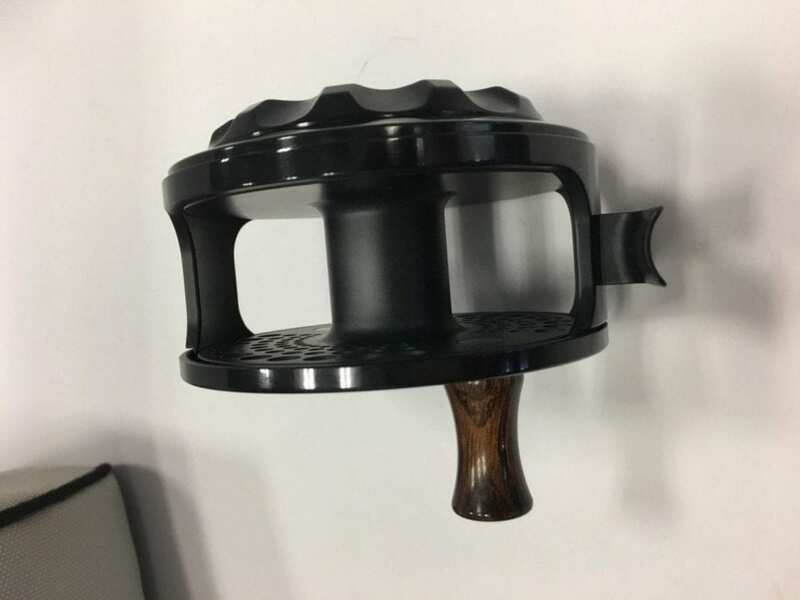 This is a rare opportunity to own a reel that bears the signature of a true contributor to the sport of fly fishing.